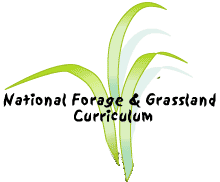 Rationale: This learner survey is provided to better understand the background and specific needs of students and to effectively revise the National Forage and Grasslands Curriculum. 1. In which region of the U.S. do you live? 3. What is/was your college major? 5. What is your environmental background? 8. What is your reason for taking this course? 9. With which of the following animals have you had experience (circle all that apply)?